The usually calm central African oil exporter has been in turmoil since a 2009 election won by Ali Bongo Odimba, but which Mba Obame is insisting was rigged. 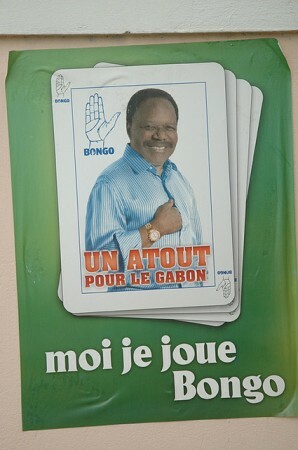 The election was called to replace the late President Omar Bongo Odimba who held power for more than four decades before his death two months before the poll. His son Ali was declared the winner with 41.8 percent of the vote, but the vote was denounced as an “electoral coup” by the opposition and led to rioting in Gabon’s oil capital Port Gentil which left several people dead. Obame and the country’s other three opposition leaders went into hiding after the elections, saying they feared security forces were trying to kill them. Obame’s latest move to seek refuge in the UN compound was likely inspired by the ongoing events in the Ivory Coast, where incumbent leader Laurent Gbagbo has refused to cede power even though the international community recognizes his opponent Alassane Ouattara as president. Just like Mba Obame, Ouattara now runs a parallel government from a hotel that is being guarded by UN peacekeepers. Yet while Ouattara has the backing of the African Union and other members of the international community, Obame does not enjoy any international support. On the contrary. African Union chairman Jean Ping, himself from Gabon, condemned Obame’s actions in a statement, saying his actions come too late, namely 17 months after the presidential elections. For the time being, both the international community and the people on the streets of Libreville have chosen to dismiss Mba Obame’s move. However, the trend towards electoral and governance crises across Africa is growing steadily. Soon, the popular resistance movements currently engulfing the continent’s northern countries will spill southwards. Dictators across Africa beware – not every opposition leader is as clumsy and weak as Andre Mba Obame from Gabon. For further information on Gabon, click here to visit our Digital Library, where you will find related publications, web links, news articles and organizations.